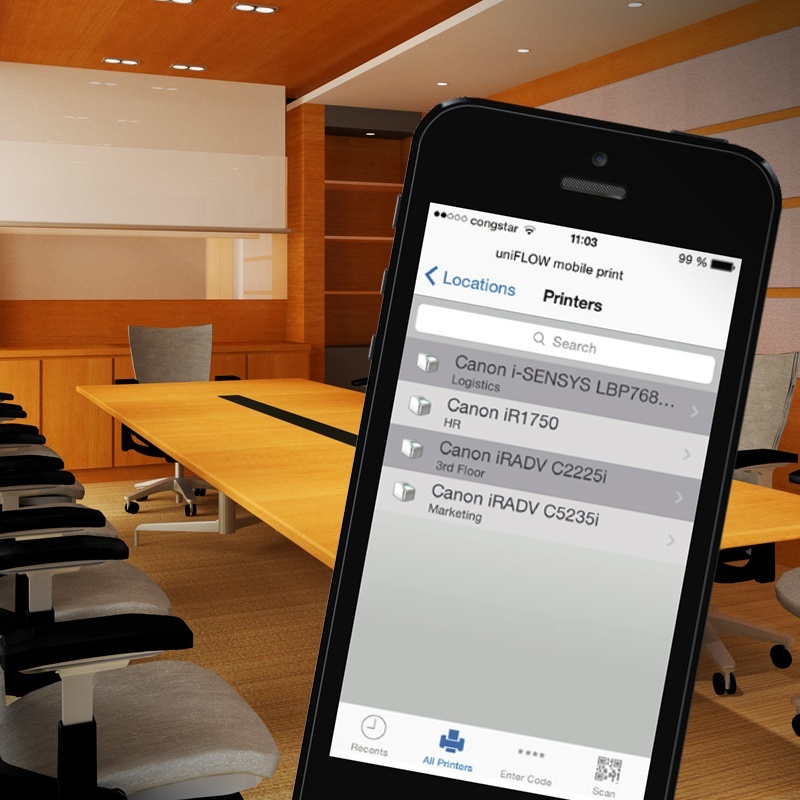 Keep your workforce productive by allowing printing on the go. You can work anywhere today. Coffee shop. On an airplane. At home in your easy chair. In the middle of a field. And, of course, in the office – and anywhere in that office! This ability to get work done anywhere, any time can be a tremendous lift to productivity. Yet even while employees are untethered from work at a particular location, they still need to print documents. Mobile printing allows you to bring from your phone or tablet (maybe your watch one day) to network-connected printers in your office. There are manufacturer-specific apps such as PageScope Mobile App and Canon's Mobile Printing App as well as enterprise-level solutions like uniFLOW Mobile Printing. It's time to further empower you on-the-go employees. Discover the power of mobile printing with Datamax. Apps on your phone or other mobile device allow you to print directly from your MFP without having to log in to the corporate network.